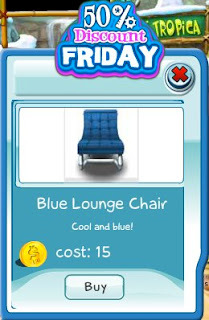 This week's 50% Discount Friday item is the Blue Lounge Chair. This classic lounge chair would fit in perfectly with your penthouse decor. Get it today before the discount ends.